August 29, 2012 February 5, 2014 / Julie Brook, Esq. It may seem hard to believe for those scrambling for clients, but there are times when you will need to turn down a case. 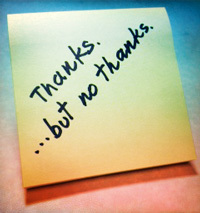 When you find yourself in that situation, a simple “no, thank you” will not suffice. The prospective client is unable or unwilling to enter into an appropriate agreement for the payment of your services, or has failed to pay an initial retainer fee that was agreed to be paid before your representation would start. Although it’s sometimes appropriate to simply decline representation in a face-to-face or telephone consultation with a prospective client (e.g., an individual with a criminal case was mistakenly referred to an estate planning attorney), it’s better practice to communicate in writing that representation is declined—this will help minimize the risk of misunderstanding and potential malpractice liability. Be sure to include a provision on the possible existence of a limitations period. Don’t let the nonengagement letter linger; prepare and send it as soon as possible after you decide to decline representation. Not sure what to include in a nonengagement letter? 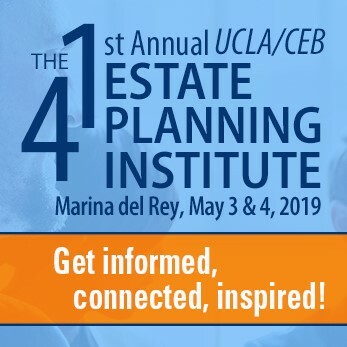 CEB’s California Client Communications Manual: Sample Letters and Forms (chap 2) has several sample letters based on different reasons for declining representation. Here’s an excellent video introduction to this book by one of its stellar authors, Micha Liberty.